How much is Gina Rinehart Worth? 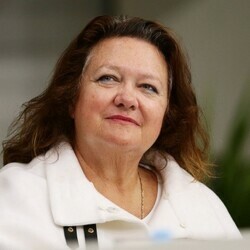 Gina Rinehart Net Worth: Gina Rinehart is an Australian mining heiress who has a net worth of $12.7 billion. Gina Rinehart was born February 9, 1954 in Perth, Australia. She is probably best known for being the richest person in Australia and one of the richest people in the world. Gina currently serves as the Executive Chairwoman of Hancock Prospecting group, a company she inherited from her father. She is the daughter of Lang Hancock and Hope Margaret Nicholas. In 2010, Rinehart bought a stake in media organizations, becoming the largest shareholder in Fairfax Media and taking a significant share in Ten Network Holdings. In 2011, Rinehart was first crowned Australia's wealthiest person, a title she continues to hold. In 2012, it was reported that Rinehart was the world's richest woman, having surpassed Christy Walton. 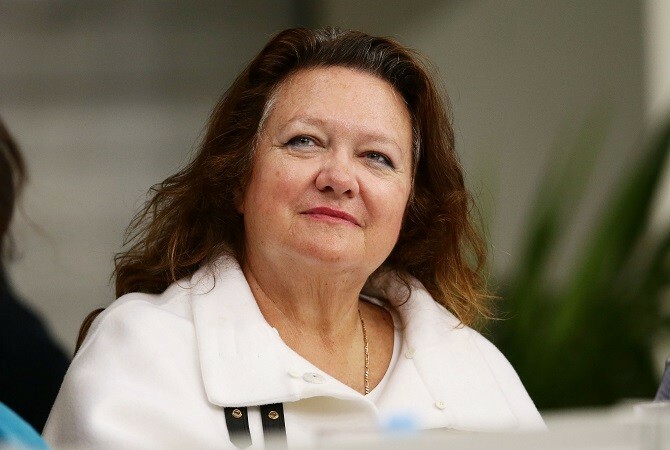 However, by 2013 Rinehart was ranked as the fourth richest woman in the world, and by 2014, the sixth richest. Known for her opposition to the Australian federal government over its proposals to tax the mining industry, her wealth has increased exponentially since 1992. The recent coal and iron ore-fueled mining boom has dramatically boosted her bottom line. She owns luxury homes in many Australian cities and drives a fleet of luxury cars and a private jet for air travel. She does a lot of charity but deliberately downplays her efforts. Rinehart is passionate about women's causes and reportedly paid for the construction of an orphanage in Cambodia. She also sponsors the education of deserving poor young girls and has worked hard to curb human trafficking. Rinehart married Englishman Greg Milton at the age of 19 and they had two children together. The couple separated after eight years of marriage in 1981. She found love again with American corporate lawyer Frank Rinehart two years after her divorce and the couple tied the knot in 1983. The couple also had two children. Unfortunately this marriage ended in heartbreak when Frank died in 1990. Net Worth details: Gina Rinehart owns control of Hancock Prospecting, which is a holding vehicle for her family's businesses. The company has a 50 percent stake in the Hope Downs mine. Rinehart owns 70 percent of the Roy Hill iron ore project located in Pilbara, Western Australia. She owns 18 percent of Lakes Oil and 8 percent of Ten Network Holdings.